Veolia Water Solutions & Technologies has jointly received a prestigious Business Excellence Award from Yorkshire Water for their work on a new Thermal Hydrolysis plant at Esholt Sewage Treatment Works in Bradford. Schindler Elevator Corporation has received a Merit Award for Excellence in Architecture from AIA New Jersey. The LEED-certified facility will produce 30 percent fewer CO2 emissions and significantly lower chlorofluorocarbons from its operations. Its energy consumption has been reduced by approximately $2 million annually, according to Shell's announcement. Today, the U.S. Green Building Council (USGBC) released its annual list of the top states for new LEED certifications in 2012. According to the results, Texas ranks No. 10. The completion of the new, clean rapid-response boilers and pipeline expansion will contribute to Philadelphia’s environmental and economic goals. Pennsylvania’s DEP will be introducing a new “DEP at Home” exhibit at the 97th Pennsylvania Farm Show in the Main Hall of the Pennsylvania Farm Show Complex and Expo Center in Harrisburg from Jan. 5 to 12.
Business researchers from the University of Arkansas and the University of South Carolina will be examining Walmart’s 7-year sustainability effort as a way to create a teaching tool for other businesses that hope to become more environmentally friendly. Energy savings from one of them, occupant responsive lighting systems, ranged from approximately 27 percent to 63 percent. 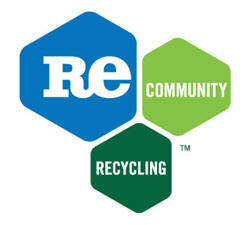 Delaware hopes to create roughly 80 new green jobs in early 2013 by investing in a state-of-the-art recycling facility. If all goes according to plan, this “mega-jail,” housing about 4,000 inmates, will seamlessly disconnect itself from the electric grid and switch over to its own microgrid, powering itself. The solar array is the first-ever installed on the office building and ReStore location for any Habitat for Humanity affiliate in the United States. MIT study finds potential for significant energy savings through user-controlled efficient lighting systems. Engineering researchers at the University of Arkansas are developing an anti-icing system that could make airport runways safer and less expensive to maintain during winter months. Plain, sloping roofs can collect up to 50 percent more rainwater than flat roofs with gravel. It is becoming more and more common to install solar panels on roofs in order to obtain green electricity, but not all roofs are equally suitable.